Hillcrest is a neighborhood in San Diego located northwest of Balboa Park. It is an accepting urban village with a small town feel. 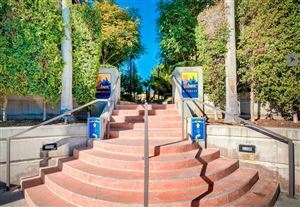 Hillcrest is known for its tolerance, diversity and locally-owned businesses including eclectic restaurants, cafes, bars, clubs and boutique shopping. It is also known for its salons and spas, medical offices, two major hospitals and the largest concentration of gay and lesbian-owned businesses in the city. 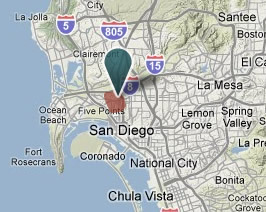 Hillcrest has a high population density compared to other neighborhoods in San Diego and residents enjoy a variety of housing options including older homes mixed with newer ones, upscale apartments and condominiums. Hillcrest likes to party, local events include the Hillcrest Mardi Gras on Fat Tuesday and Hop in the ‘Hood, a block party with great bands, friends, games and fun including the Flower Power Parade. Hillcrest has blossomed into a “hip and happening” community.